Designed for anyone from elite athletes to those with back pain, the device can be used to optimize recovery. Lower back pain is something many people suffer from and it’s not a fun ailment to live with. After years of pounding my back on the job, I have to take extra care when lifting and doing strenuous exercise. Back therapy and chiropractic care are very useful tools for me but not always covered by insurance. Now there could be some relief for people like me in the HYPERICE VENOM. The HYPERICE VENOM is a digitally-connected wearable back device, VENOM combines the power of heat and vibration to aid the lower back. Designed for anyone from elite athletes to those with back pain, the device can be used to optimize recovery by warming up, loosening, and relaxing sore or stiff muscles. 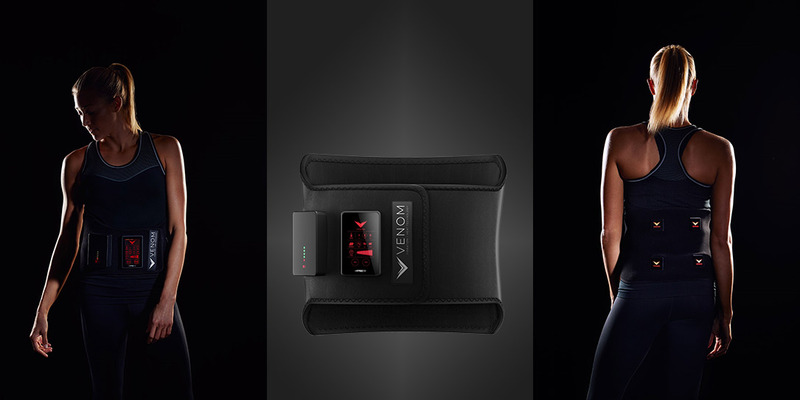 Utilizing nanotechnology that generates heat quickly, the VENOM back device allows users to select their desired temperature via a touchscreen control panel. Users can also use the touchscreen to select one of three different vibration settings delivered via four vibration “pods” positioned strategically on the lower to mid back. VENOM’s heat and vibration are powered by a rechargeable four-cell lithium ion battery pack that detaches from the unit for easy recharging. To complement HYPERICE’s line of recovery technology, the company also introduces HYPERSOOTHE, a lightweight topical cream infused with essential oils and natural plant extracts to soothe the body’s muscles and joints. Utilizing all-natural ingredients, HYPERSOOTHE is formulated to meet the standards of the world’s best athletes, further enhancing recovery when working in tandem with other HYPERICE products to alleviate soreness and stiffness. The HYPERICE VENOM looks like it could be a great solution for not only those with lower back pain but also those who are into sports and need that heat and vibration into their muscles. The HYPERICE VENOM is available now for $249USD on the HYPERICE website, just hit the link below.